Top of the mornin' to ya, readers! Did you have a safe and F U N Labor Day weekend? I did, but will share more tomorrow. 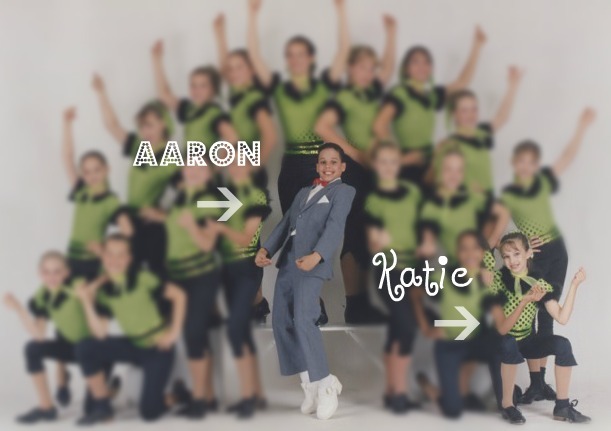 I used to dance with Aaron eons ago. I can't claim that we are still BFFs, because we aren't. But we were friends, danced and competed together, and now remain FB face friends. It's been SO fun watching him on the show and I know all of his family, friends, and new fans are rooting for him! The Gums house is, too! So if you watch the show, VOTE TONIGHT. If you don't watch the show, VOTE TONIGHT! Aaron is in the finale, TONIGHT. More than ever Aaron needs your votes to WIN! 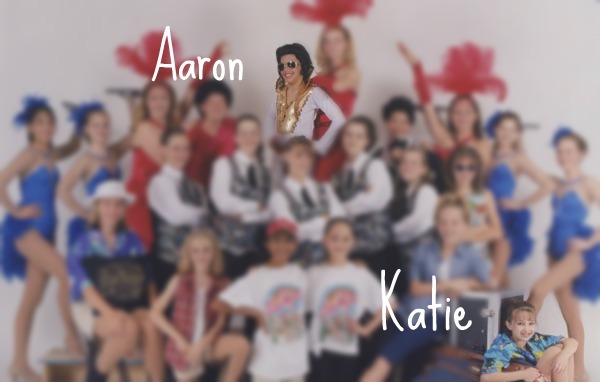 I really love all the finalists but of course I'm rooting for Aaron! Here's some silly dance photos of us. I know there is more but I can't find them. Thanks to his sweet Mama, Christine, for these pictures below! She stayed up late searching and scanning so I could write this. Here is some voting information to help you! Thanks Christine for this, too! 1. You may vote online on the Fox SYTYCD website. HOWEVER, THE LIMIT IS 20 VOTES PER DEVICE! IF YOU HAVE MORE THAN 1 COMPUTER OR TABLET USE ALL OF THEM TO VOTE. Many people believe that those 20 votes are all they can do. NO, NO, NO! You go over to the neighbors house and vote on their devices, too! Christie and I do it all the time! Honestly, some of them will no longer let us in their house'son Tuesday nights. 2. You may vote by phone UNLIMITED NUMBER OF TIMES IN THE 2 HOURS FOLLOWING THE SHOW. NOTE: When you call it will ring and you will hear a voice message thanking you for voting. To vote again, SIMPLY HIT REDIAL! DO THAT OVER AND OVER UNTIL YOU CAN'T DO IT ANYMORE. THEN, DO IT SOME MORE! 3. VOTING BY TEXT. Simply type in the text number given to you (example 83676) then type in the name AARON. HIT SEND. You may choose to copy/paste his name in each time, which for me is so much easier. NOTE: YOU DO NOT HAVE TO REDIAL THE NUMBER EACH TIME. BUT YOU DO HAVE TO PUT HIS NAME IN EACH TIME. Aaron, GOOD LUCK! I'm sooooo excited for you! I can't imagine how drastically life has changed for you and will continue to do so. Seems weird but I'm praying for you to win, but, also praying for you as you transition into this new life. I imagine it's quite the physical and emotional journey. Go get em'! PS: I have a lot of single girl friends who are VERY interested. I love Aaron too! I'll definitely vote for him!